Convert piles of images to all key formats at one go! Make quick adjustments — resize, rotate, apply auto-correction settings. Select between a number of effects. Get your pictures ready to be printed or uploaded to websites! 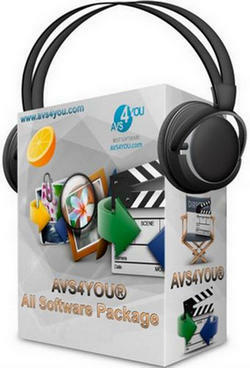 Make backup copies of your CD/DVD discs, restore a DVD-Video disc, burn data discs with AVS DVD Copy. Improve your photos — adjust size, zoom, change and improve colors, sharpen objects shapes. Apply pre-made effects. Make your photos look perfect. Work smoothly with AVS Photo Editor  an easy tool for photo editing! Design your own disc cover. Use ready templates or import images from your computer. Create different labels for optical discs and box covers, edit, print or save them for future editing. AVS Cover Editor — easy to use, quick to get a perfect result. Transfer video from your old VHS tapes, miniDV and WEB cameras to hard drive in AVI, MPEG-2 formats or create personal movie DVDs. Stop a flow of irritating e-mails with suspicious content. AVS Antispam analyzes and filters incoming messages and eliminates the need to sort annoying spam. Protect your computer against hacker attacks and intrusions while surfing the Internet. Create your own profile to control your local network and Internet connections. Get detailed information on all your PC internal and external connections and statistics. Take a part of an audio file and make it a ringtone, record your friends or kids voices for a realtone. The best way to add individuality to your cell! 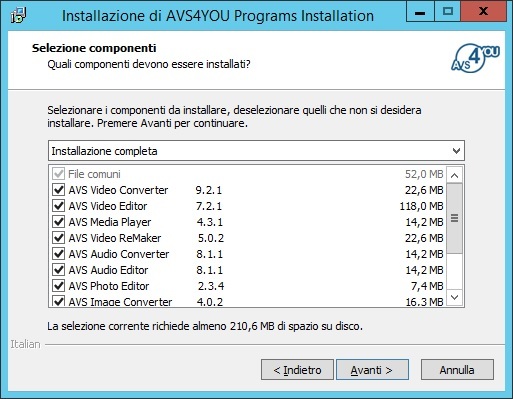 Convert video to ALL KEY FORMATS with AVS Video Converter. Create HD-, Blu-ray videos with enhanced menus. & convert files for various devices and upload videos on popular websites directly from the program interface.